The futuristic design of Ancient Egypt in the Book of Immortals Slot puts a new spin on how you will visualise Egypt. 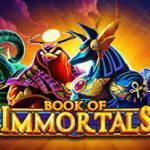 Book of Immortals is a five-reel video slot that offers 10 paylines, a Free Spins feature and expanding symbols. The Scarabs are the most important symbols in the game, since they present both Wilds and Scatters. Also, there is the Scarab Swap feature which is triggered randomly. This will then allow up to 10 symbols to be transformed into other symbols. Some of the symbols you will encounter are the Anubis, the Jackal, Horus, the Eagle, Bastet, and Khnum. Scarabs represent Wilds that substitute for all symbols and also represent Scatters that trigger the Free Spins feature. 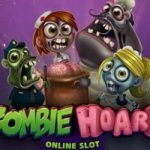 Three or more Scarab Scatters on the reels trigger the Free Spins feature where you are then rewarded with 10 free spins. During the feature, one random symbol will be chosen as a special symbol for a specific spin. If that symbol appears it will expand to cover the entire reel. If the high-value Gods appear as special symbols, they will remain special and expand every time they appear on the reels until the feature ends. 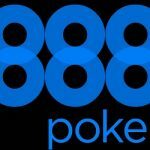 Of course, it is possible to re-trigger the feature and get more free spins. Also, there is the Scarab Swap feature which is also triggered randomly. A swarm of Scarabs on the reels switch up to 10 symbols giving you the opportunity to get a great winning combination. Slotsmillion will be launching this slot within the next few days. 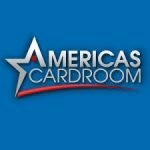 Visit their site for some insight as to what they have to offer. Most slot games are offered for Free Play – so why not try before you buy. 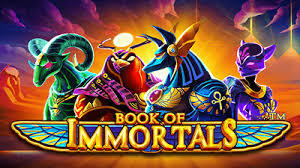 This entry was posted in Casino Blog and tagged Play Book of Immortals at Slotsmillion, Read Book of Immortals Review on March 20, 2019 by admin.